The UNESCO World Heritage site of Stone henge is one the most instantly recognisable monument in England . Situated north of Salisbury on an undulating plain, Stone henge is a ring of stones that stands at the centre of large area full of Neolithic burial mounds and monuments. Around 2600 BC the use of wood posts was abandoned and the use of upright stones started. Between 2600 and 2400 BC 30 enormous sarcen stones were erected at Stonehenge. For the next 1000 years the site was developed the last known phase of construction being around 1600BC. Stonehenge has been the centre of much academic speculation but it will never be known for certain what ceremonies took place at Stonehenge. 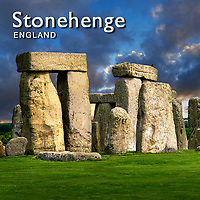 Excavations of Stonehenge by Mike Parker Parsons have produced 50,000 cremated bones and the remains of 63 individuals. It is clear then that from early times Stonehenge was the focus of burial rights. Mile Parker Parsons has concluded that “Stonehenge was a place of burial from its beginning to its zenith in the mid third millennium B.C. The cremation burial dating to Stonehenge's sarsen stones phase is likely just one of many from this later period of the monument's use and demonstrates that it was still very much a domain of the dead”. Neolithic sites throughout the UK are suggesting that ancestor worship was important for Neolithic peoples. Stonehenge also has stones aligned with the sunrise on the mid summer solstice just as the entrance of Maes Howe in Orkney is aligned with the sunrise of the winter solstice. It is clear that both ancestor worship and the solstices were important to neolithic peoples. Research of the Ring of Brodgar in Orkney have revealed that each of the stones came from a different part of the island leading to speculation that the ring was used a a meeting place for the different tribes of the island. Taking that the people that built both Stonehenge and Brodgar would have shared common customs then perhaps Stonehenge had a more social use than is evident at the moment. Whatever Stonehenge was built for will probably never be known but it is still an incredible monument that really is though provoking and demonstrates that our Neolithic ancestors were amazing engineers and lived in an incredibly well organised society that could come together to build great monuments.